High Heels & Hats Mother’s Day Brunch: Who better to kick of the celebration of motherhood on Mother’s Day than the Sparkles of Life Foundation? Sparkles for Life is an organization focusing on support of women whose journey to parenthood consist of overcoming seemingly insurmountable obstacles. Born out of the challenges of founder Rhonda Lewis-Nwosa own fertility challenges Rhonda planted the seed of life in the organization. Sparkles to Life uses the powerful tools of education and advocacy to impact the lives of both the women and families they serve as the travel towards their ultimate goal of having children. 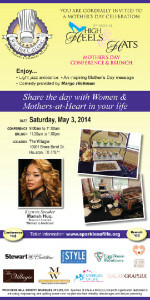 The mother’s day brunch is a fabulous party with a purpose as women who have struggled through fertility issues are celebrated in a grand style. The stylish brunch will feature Mariah Huq from “Married to Medicine” as the keynote speaker. Known for her sassy approach to life and love this event is sure to bring out the best dressed women and men the city has to offer. Click Here to learn more or purchase your tickets today. Fillies & Fellas Derby Day Celebration: If you have been waiting all around for the most exciting minute in sports then the time has once again arrived for the Kentucky Derby. The fun of the race may be the highpoint but the fashion competitions that happen at derby parties are what makes them fierce and a guarantee for a day full of fun. The celebration will benefit the Boys & Girls Harbor that works to provide care and guidance to children in crisis due to neglect. 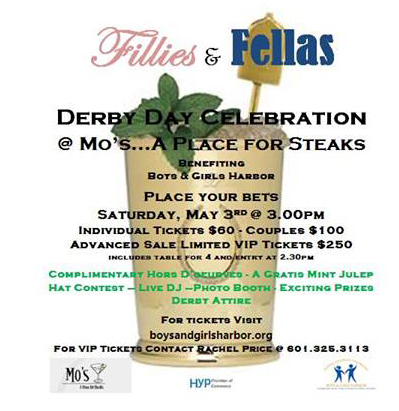 Pull out your most dapper outfit and hat and prepare for a fun event. Click Here to learn more or purchase your tickets today. Make sure to check out two great ways to party with a purpose this weekend!